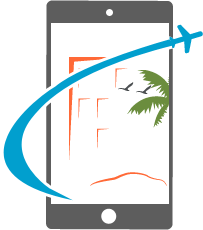 Last decade has been great for online travel booking systems including airline booking system. In the present date of travel sales, where brick n mortar travel agent shops are losing importance and a new trend of bookings through online travel portals & airline booking systems, is developing very fast. This has created huge opportunity for travel technology companies to build great online booking systems (airline booking system, hotel booking system & holiday packages booking system) with Amadeus GDS integration. Apart from cutting edge technology, the user engagement model, displaying the vest pricing and offers are key points for any reservation system to succeed. Airline reservation system, commonly known as ARS, is generally considered to be the user side system for any airline or GDS generally integrated by an IATA accredited travel agents. It consists of the exchange of data through the GDS system, which consolidates the worldwide airline data and share through unique web services API. This is an effective and efficient way of consolidating the global airlines availability and pricing, which is combined together with best GUI interface and published for end users on any airline reservation system (GDS based). 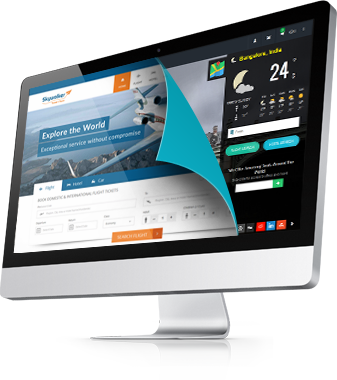 For any online travel agency airline booking system is a part of comprehensive travel reservation system, which consist-off hotel reservation system, transfer system and sightseeing module. GDS system, which is known as global distribution system is the interface between a travel reservation system and the end airlines, because it consolidates the data including the availability and pricing. The end buyers can check the availability and do the booking, which in turn is forwarded to airlines console through GDS. Advanced airline reservation systems offer the features like one-way, roundtrip, multi-destinations all together. Thus also providing the end users the better deals / offers on every booking, they do. Most of the reservation systems are also offering the dynamic packages like airline + hotel, hotel + cars, hotels + holidays packages, clubbing the packages together. This helps the buyers to plan the travel in a better way. Amadeus, Galileo / Travelport, Sabre and Abacus are among the top GDS systems available today. GDS consolidates the data for airlines, hotels, cars, packages and cruises. This consolidated data, is then shared to end travel reservation software / travel portals through their proprietary web services APIs.